Another trip home calls for more food photos. Frites, naturally, at the Joli-Bois friterie in Waterloo, just outside Brussels. Note the generous amount of mayonnaise – nothing worse than a stingy saucer. He had an amazing machine for hand-cutting the chips too, which was fun to watch while waiting. Good boulette (meatball) too. Here are some extra photos with views of Brussels from the panorama of the Royal Museum of the Armed Forces and Military History in the Cinquantenaire park. 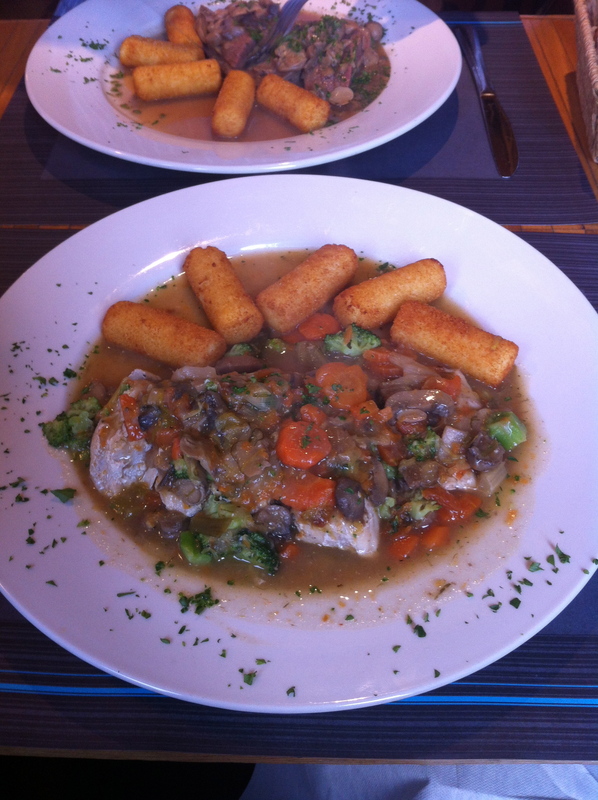 Waterzooi at Le Miladiou in Watermael-Boitsfort, on the outskirts of Brussels. Nice, home cooking with friendly owners. The Royal Library of Brussels is a hidden gem in terms of food. So much better than your average library grub, the food here is cheap, satisfying and delicious. I went for a classic Belgian spag bol (with the essential addition of pasta cheese) and my dad went for the poulet curry (chicken curry) sandwich. Belgian spaghetti bolognese doesn’t resemble the authentic Italian stuff at all, but there’s something about it that’s so nostalgic and just so right. Also, the cafeteria has great views of the city. Pizza at Ciccio Bello in Watermael-Boitsfort. Not bad, but nothing special. 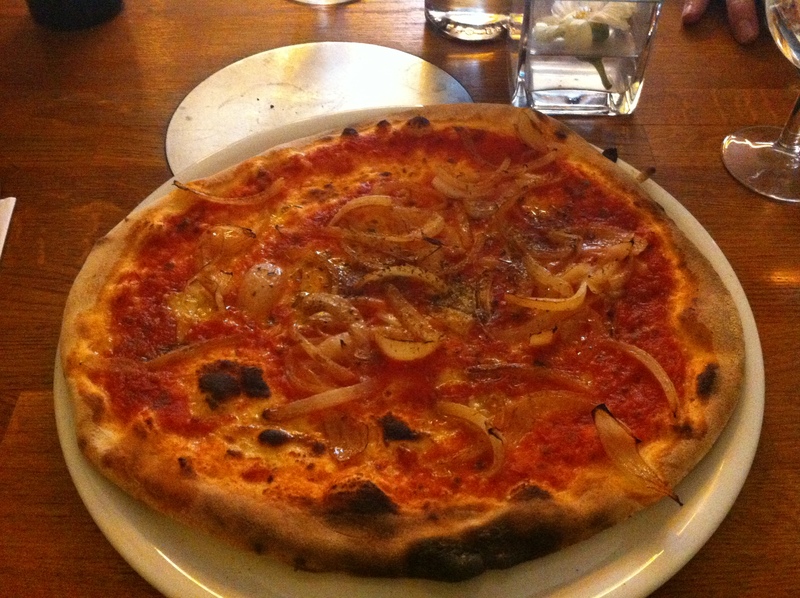 I went for the marinara (no cheese, just tomato sauce, garlic and onions). The dough was nice, and the base was crispy but it was nothing to write home about. Vietnamese, again. This time at Vert de Rouge. Really nice food and super friendly owners. This time we had a pretty spicy chicken salad to start, which was full of fresh mint. For mains we had rice with Vietnamese sausage and glazed pork; chicken in yellow curry sauce and vermicelli with beef, lemongrass and nem. All delicious, home-cooked Vietnamese. Tags: belgian, belgium, brussels, Cinquantenaire, frites, library, mayonnaise, pizza, poulet curry, spaghetti, vietnamese, waterzooi. Bookmark the permalink.